There are nearly half a million applications on the Android Market Store. Android is the open source operating system for smartphones developed by Android, then acquired by Google, is becoming more and more popular. With this number of applications, how do you manage to find what you want? Finding the best Android apps isn’t always easy so this time to help you, I am here with 5 search engines to find right Android applications. Chomp is one of the best apps search engine available for iOS and Android devices. 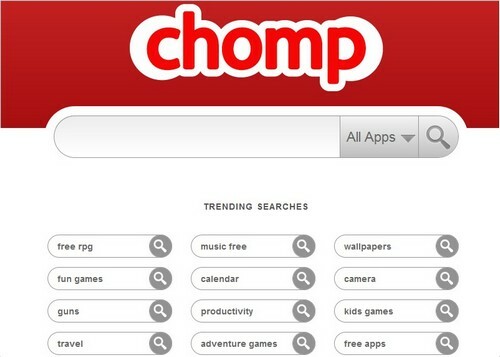 Chomp search two kinds of applications for iPhone and Android. Sorting can be done by price (free or paid) or by category (books, finance, games, etc..). When you find your application, you will have access to screenshots and description. Already featured on Tricks Machine. With this website you can find applications for iPhone, iPad, Android, Windows, Linux or Mac, Blackberry and so on. 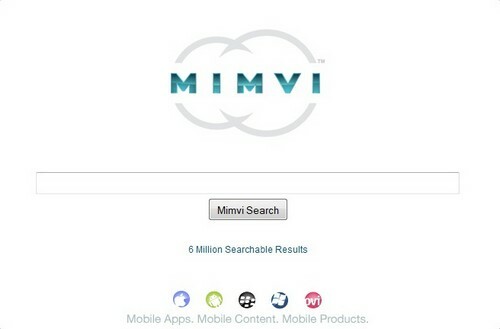 Mimvi enables consumers to quickly discover Mobile Apps, Mobile Content and Mobile Products across all devices and platforms, including: Apple’s iPhone, Google Android, Blackberry, Windows and Nokia devices. 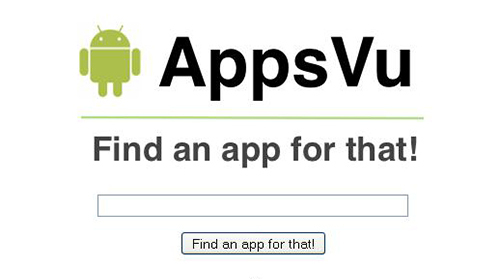 AppsVu is the earch engine that allows you to dig up applications by keyword. Example: puzzle, football, GPS, etc.. The result is sorted by popularity, price, rating or others. AppsVu offers screenshots, links to the Market Store or the QR Code. A powerful yet intuitive search engine that helps you find the best apps for every need. 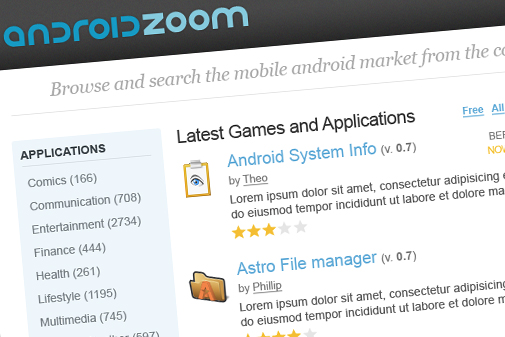 AndroidZoom is a website that allows you to search for apps much more effectively than the Market Store. A Top 50, trends, most viewed, in short, you will find everything to browse this site! And you, which search engine do you use to find Android applications?